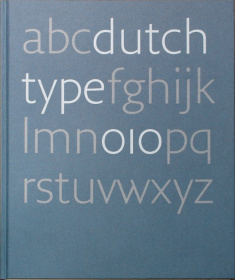 A long-awaited reprint of the 2004 book ‘Dutch Type’, a comprehensive overview of type design and lettering in the Netherlands, tracing its origins through type designers and lettering artists from the 15th to the 20th centuries. Partly based on interviews conducted between 1997 to 2003, the book also offers insight into the motives and methods of the first generations of digital type designers, featuring published and unpublished typefaces as well as sketches, studies, and samples of lettering work. Following a concise summary of the first 400+ years of Dutch type, the bulk of the book is a broad panorama of the creation of letterforms and printing types in the 20th century, with almost half the book dedicated to the digital age.